CHARTS: Heres What The Wall Street Protesters Are So Angry About…. A wonderful collection. Sage, sadly no longer with us, was a phenomenal and thoroughly well-read essayist, journalist and critic of literature, not just about writers of the 20th century period, but from the 18th onwards. She not only understood what the writers and their work were about, but also knew about the culture and society within which they lived, engaged and often struggled. This collection of some of her literary criticism/essays/journalism (there’s another fab, even larger selection titled Good As Her Word, also published by Fourth Estate) focuses on a number of great women writers of the 20th century. They’re not linked in any way, other than the writers are all female and brilliant each in their own way, and the fact all these articles reflect Sage’s tremendous insight, appreciation and sensitivity for the work of these writers, leaving you always with a deeper understanding of their psychological, intellectual and literary viewpoints as well as a passionate interest in the novels she discusses. From an obituary of Iris Murdoch (both as a novelist and philosopher, and the relationship between these two), to intelligent essays on perhaps lesser known novelists Christine Brooke-Rose and Djuna Barnes (and certainly this applies to Violet Trefusis), to the well-known Edith Wharton, Angela Carter – I think she’s the best critic on Carter’s work and has written a book on her and edited a collection of essays on her – Virginia Woolf, Katherine Mansfield, Jean Rhys, Christina Stead, Jane Bowles, and Simone de Beauvoir, you will finish this collection with a passion to read the novels Sage discusses. What better recommendation is there for a literary critic’s work? 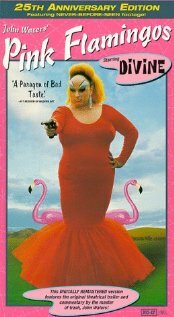 John Waters is arguably America’s most wonderful, funny, quirky and clever cult film director — after all, who can forget, once seen, the marvels of‘the movie Pink Flamingos and Female Trouble and the amazing Divine!? — and, for those who aren’t already fans of his journalism as well, John Waters is a gifted writer with a grace and tone as smooth as silk: this is demonstrated abundantly in Role Models, his latest collection of journalism/essays. You can hear his voice as he reflects, shares, meditates and wryly comments on a lot of topics, from modern artists to neglected novelists, fashion designers to murderers, singers to fantasy, collecting and much more. He’s widely read and, inevitably I think, his own cultural interests are equally wide-ranging; unsurprisingly, too, the essays are all reflective of his quirky, distinctive — and, I hasten to add — utterly charming – personality. In ‘Bookworm‘, he tells you about some of his many favourite reads (in his Baltimore house, he had as of the time he wrote the article, 8,425 books). He shares his love for the very quirky, brilliant fiction of Ivy Compton-Burnett, and focuses on Darkness and Day, one of ‘her strangest novels’, Waters says — which is saying something given its Waters, and too, that it’s about Compton-Burnett, all of whose fiction, save her first that she disowned, are compellingly strange hothouse flowers of modern literature. He also conveys the wonder of Jane Bowles’ novel, Two Serious Ladies, and the little-known English novelist and artist, Denton Welch‘s novel, In Youth Is Pleasure, and others, besides. Such essays are fascinating and show his real love of great fiction. Interestingly, in the essay, ‘Leslie’, he reflects maturely on the Manson murders and his obsession with everything related to them ever since they occurred in 1969, especially in terms of the impact on the lives of the victims themselves, as well as on the life of — and his long-term friendship with — one of the murderers in particular: Leslie being, of course, Leslie Van Houten, one of the original Manson ‘family’, who was involved in the LaBianca murders (‘the night after the Tate massacre’), and who remains in prison to this day. 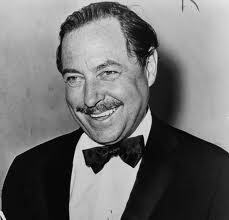 He acknowledges how at first he was gratuitous and thoughtless in the way he drew upon the murders as fodder for entertainment, directly inspiring and leading him to write and direct the an homage movie to the murders, Multiple Maniacs; besides dedicating Pink Flamingos to the ‘Manson girls, “Sadie, Katie and Les”’. He acknowledges that he has considered for a long time that she has been rehabilitated and the circumstances of her life leading up to and including the murders, and following them, seem to vindicate his viewpoint (but not, I’m sure, if you are a family member of one of those murdered). On this basis, he has petitioned her parole board for her permanent release. The article shares his views and feelings about the history and experience of being a long-term friend to Leslie. It is fascinating, troubling, moving and intelligent; deeply researched, compelling, and he also pulls no punches with himself or the reader. One of the most insightful interpretations of true crime that I have ever read. I also want to single out his great article on his collection of modern art, ‘Roommates’ (the roommates in question being the art itself, inhabiting his house and two apartments). And it sounds like a fantastic collection, including pieces by Cy Twombly — probably the best appreciation I’ve ever read on this artist — besides Mike Kelley, Peter Fischli and David Weiss, Richard Tuttle, and others. I have read a lot of art appreciation over the years, but none has come close to conveying as well as this article what it means to have and experience a collector’s passion, personal taste, and likewise consistently insightful observations about the art works themselves. Waters’ fans, I think, will also be delighted that his mainstay obsessions continue in this latest collection, including a piece singing the praises of the fashion designer, Rei Kawakubo; besides great articles on the rock and roll singer, Little Richard (based on an interview Waters did with him); on ‘Outsider po*rn ‘, where he shares his passion for two of his favourite ‘genius’, groundbreaking outsider gay p*orn directors, Bobby Garcia (Be warned if you open this link at work as it’s a video/sound file from YouTube talking about his career) and David Hurles (again, sorry, BUT don’t open this link at a conservative work place; it shows beautiful photography of beautiful naked men and refers to that word that terrifies all conservative voters, even if they may use it: p*orn … without the asterisk, ahem). Sadly, both men were, at the time of Waters writing this essay, absolutely broke financially speaking. 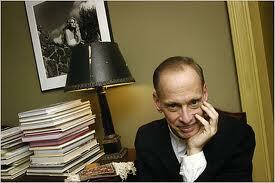 Oh god, how I wish I were John Waters, if only for a day. 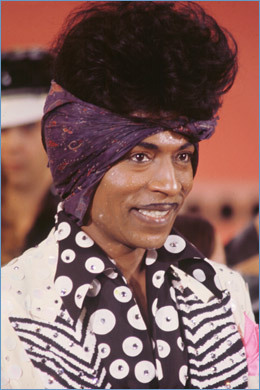 He’s a true star, a celebrity in the 1940s/50s Hollywood sense of the word, when it meant something, when it meant something, and not muppets like Paris Hilton; he is Little Richard, Johnny Mathis, Rei Kawakubo and — why yes! — sometimes even a Cy Twombly drawing. 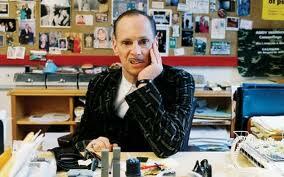 But without any doubt, he is always, uniquely, irrepressibly John Waters. 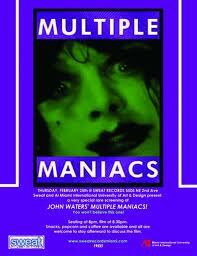 I love you, Mr John Waters. Talking to a conservative: I’m MR Waters to YOU — don’t fcuk with me, motherfcuker! May you write and direct much, much more, you beautiful, lovely, wicked, funny, clever, perfectly self-described ‘Master of Filth’.